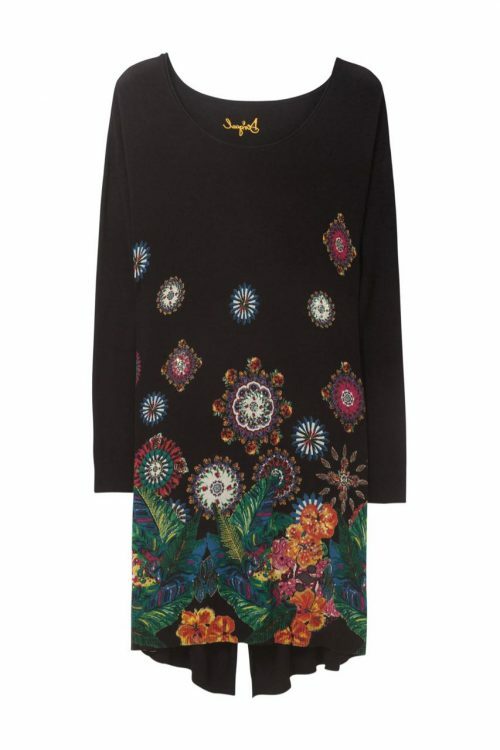 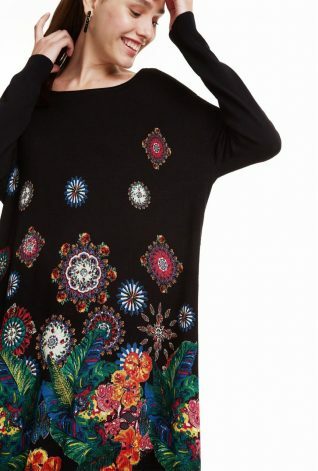 Desigual Sweater “Diane” – spectacular black long pullover featuring floral and mandalas colourful design, V slit at the back, long sleeves, easy comfortable fit, stretchy fabric. 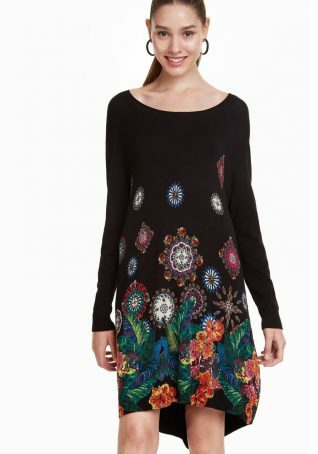 Wear at as a sweat tunic with leggings or as a short dress. 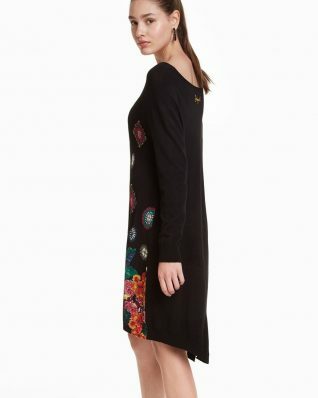 An extraordinary style, indeed!